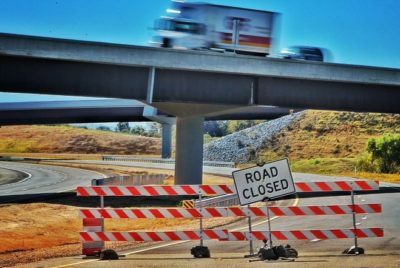 Dirt and bridge work for the entire Mississippi portion of Interstate 269 is finished, and the project remains on track for a fall 2018 completion, the Mississippi Department of Transportation said in an update Wednesday. MDOT said the next phase of work involves two paving projects, the largest of which has begun. I-269, the largest active MDOT construction project, eventually will form a horseshoe of nearly 60 miles from Hernando to Millington in Shelby County. It will be part of a bypass around Memphis as part of the planned Interstate 69 route from Canada to Mexico. The first I-269 section, a 4.5-mile segment between Tenn. 385 in Collierville and Miss. 302 near Byhalia in Marshall County, opened last October. Jason Scott, MDOT public information officer, said earlier the eight Mississippi segments will cost about $665 million. When complete, I-269 is expected to transform areas along its largely undeveloped North Mississippi route that will run westward from Marshall County to near Hernando, where it will connect with Interstate 55/69. In addition to I-269, the MDOT project update said reconstruction of the Coldwater River Bridge on U.S. 51 in Tate County should be finished by the spring of 2018. MDOT opted to replace the 1,100-foot bridge with a 2,000-foot bridge and raised road to prevent flooding. The road will be raised 4 feet. Flooding in March damaged the span and forced MDOT to close it and move up a planned November replacement project. During construction, traffic is being detoured onto Interstate 55 between Hernando and Coldwater. “We realize that the detour route around this project is inconvenient to many motorists,” Transportation Commissioner Mike Tagert said, adding, however, that safety over the bridge was enough of a concern to merit the inconvenience during construction. Also as part of the U.S. 51 bridge contract, MDOT is rehabilitating bridges over the Coldwater River along I-55. That portion of the contract is expected to be complete in early fall.